Having trouble picking the best business credit card for your Canadian business? We understand. Finding the best Canadian credit card is not something that is black or white. The best one will vary from one business to the other, depending on the needs, stage, and industry of your business. 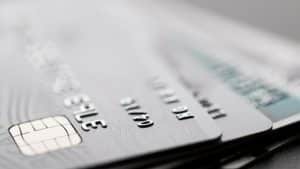 In this guide, we first provide some tips to use a business credit card wisely, we tend take a look at what factors you should look at when choosing a Canadian business credit card, and we end with some suggestions of credit cards that may suit your business needs. Credit cards can get you into major financial trouble if they are not used responsibly. It can be far too easy to buy things you can’t really afford. Before you know it, you can find yourself in credit card debt that you can’t handle. That being said, credit cards are not evil. They can be helpful in a lot of ways, if you know how to use them wisely and to your advantage. First, know which cards to have. You should have one major credit card that is for general use and has your highest credit limit and preferably a low interest rate (you should always avoid credit cards with APRs higher than 20% – and choose one with less than 10% APR if you plan on keeping a balance). Retail or store cards can offer rewards and discounts that can help save you money, so if your business is dependent on buying a lot of equipment from a particular retail store for example, it might be a good idea to go with that retailer’s branded card. The key to using credit cards to build or improve your business’s credit score is to pay them off monthly. Credit cards can be helpful and useful and can really add to your credit score and history, but only if you keep them consistently paid off. If you cannot afford to pay them off completely, work on keeping them below fifty percent of the overall credit limit and always pay more than the minimum payment. While some people are doing away with credit cards for the good of their personal finances, it is useful to have them and keep accounts open both for your credit score and history and for a safety net, especially if you have a business. Building a credit history for your business will go a long way into getting other type of financing or payment plans when your business needs it. If your business does not currently need a business credit card, consider keeping only them and making a small monthly purchase with it and paying it off once the bill comes, just to keep the account active. Remember, credit cards can be a great resource for your business if you know how to use them wisely. You may need them now or later in your business lifecycle – either way, you should implement these best practices today. Purchase Assurance and Extended Warranty. With so many lenders offering various credit cards, it can be difficult to narrow down which Canadian credit card would be right for your business. Just like choosing a credit card for personal use, it is important to search for the features that would be the best fit for you. Some factors to consider when choosing a business credit card include the annual fee, credit card insurance, APR and reward benefits. Annual fees can range from absolutely nothing to up to $399.00. When comparing credit cards, it is always important to note how much each card’s annual fee is. Certain cards also tend to have purchasing insurance on certain investments like travel insurance, auto/rental collision insurance, and extended warranties. It’s important to keep these benefits in mind when comparing one credit card to the next as this can be a great perk depending on what type of purchases your company plans to use the card for. The Annual Percentage Rate or APR on a credit card indicates how much interest you will be charged if you do not pay in full before the end of your (monthly) billing grace period. If you believe you will carry over a balance, go for a card with a low APR to avoid paying high interest fees. Depending on the size of the balance, a lower interest business line of credit may be a better option. If you travel often for business or would like to take advantage of cash back offers, you might want to consider a credit card with generous rewards. Cards that earn airline miles or loyalty points can be incredibly helpful if you or an employee have to travel often for work. You can also earn cash back for the credit you spend on certain cards. Before applying for a card, always compare with other cards how much you can earn on certain purchases. Done smartly, your rewards or cash back will over compensate for the annual fees of the card you choose. Essentially, if you plan to use your credit a lot, choose a card with higher rewards even if it comes with an annual fee. If you don’t plan to use your business credit card often (maybe just as an emergency), try to find a card with a low or no annual fee, even if this means less perks or no cash back. Anyone who says that a specific credit card is the best business credit card is not being truthful. The best card for your business will not necessarily be the best for your neighbour’s business. Below, we look at three different Canadian business credit card that each offer a set of advantages that will suit different profiles of business owners. 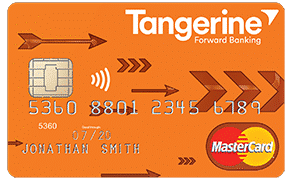 Maybe you want a card with low annual fees, or perhaps you’re looking to maximize the credit card cash back rewards you will get. Or maybe you need cash now, and plan on keeping a balance for the coming months on your credit card, in which case you’ll want to choose a credit card with a low interest rate / APR. Note: The links to the credit cards page are affiliate links, meaning that we will get a small commission if you sign up for one of these cards.